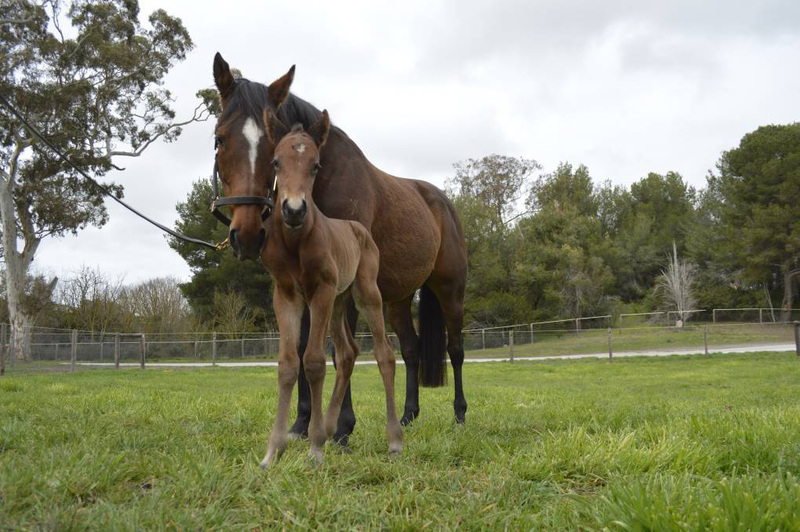 First foal of Goldin Farms’ exciting foundation stallion Akeed Mofeed, with mum Gossip Girl. Say hello to the first foal of Goldin Farms’ exciting foundation stallion Akeed Mofeed. Saturday, August 1 was the horse’s birthday signifying the impending arrival of foals over the next few months but this little colt couldn’t wait. 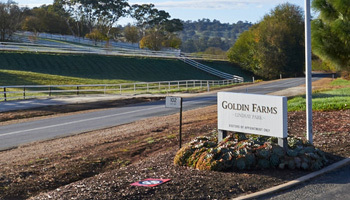 He arrived at Goldin Farms at 7.30pm on Thursday, July 30. A few years ago that would have been a problem as even though he was only two days old, he would have become a yearling on August 1, but now, with the rules changed, he remains a weanling. The colt’s dam, is Gossip Girl, a stakes-placed winner. But it is ‘dad’ about which there is great excitement. Akeed Mofeed served his first book of mares last year standing at Goldin Farms, Angaston after a highly successful racing career in Hong Kong. 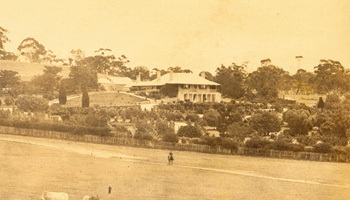 The stallion is owned by Hong Kong-based businessman Mr Pan Sutong who purchased Goldin Farms, the former Lindsay Park Stud, so he had a farm to stand Akeed Mofeed. In Hong Kong the horse was trained by Richard Gibson and was notable for winning the 2013 BMW Hong Kong Derby and the 2013 Longines Hong Kong Cup. Andrew Perryman, stud manager at Goldin Farms, said the colt was the first from about 50 mares due to foal at Goldin with offspring by Akeed Mofeed.